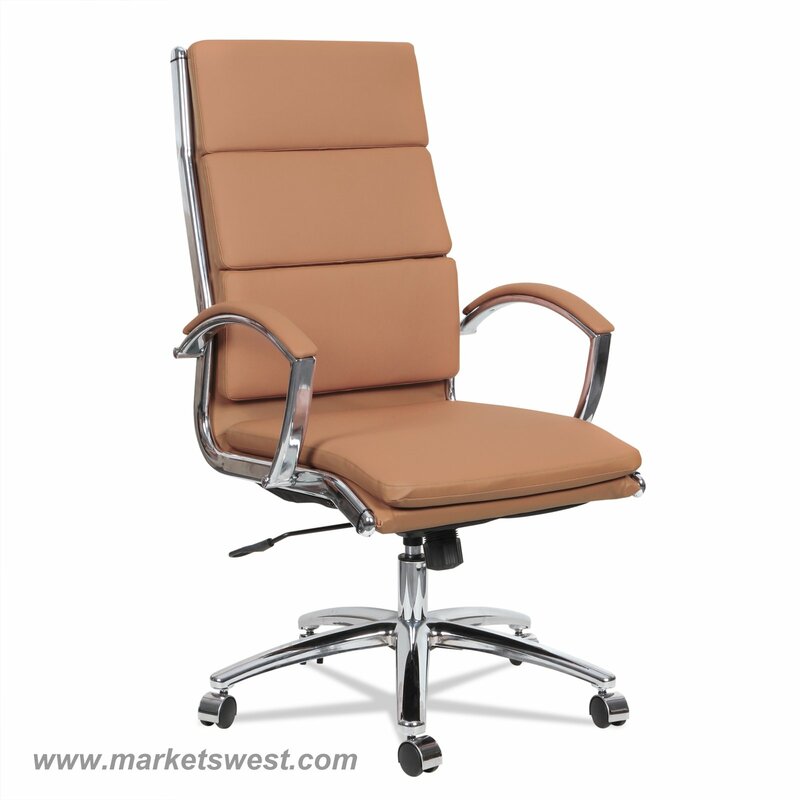 Neratoli High-Back Swivel/Tilt Chair, Camel Soft-Touch Leather, Chrome Frame. Contemporary cushioned seating with a slim profile. Waterfall seat reduces pressure on the back of the knees for improved circulation. Padded arm caps for comfort and support. Five-star base with casters for easy mobility. 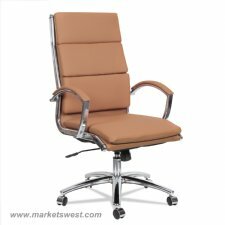 Disclaimer Statement(s) : Casters supplied with this chair are not suitable for all floor types. Local Delivery Available in the Metro Phoenix and surrounding areas. This product is available nationwide. Please contact us for delivery cost or place in cart and submit a purchase request so we can contact you with delivery cost to your location. Except as otherwise provided within this Limited Warranty, United Stationers Supply Co. ("USSCo€) promises to repair or replace any Alera€ and other USSCo branded furniture products, component or part that is found by USSCo to be defective in material or workmanship within five (5) years from the date of original purchase so long as you, the original purchaser, still own it. This is your sole and exclusive remedy. This warranty is subject to the provisions below. It applies to product manufactured after May 29, 2005 for products sold within the United States of America and the Commonwealth of Canada. "Caresoft€€ fabric is warranted for two (2) years from the date of original purchase of the chair by the original owner of the Alera€ product in question.